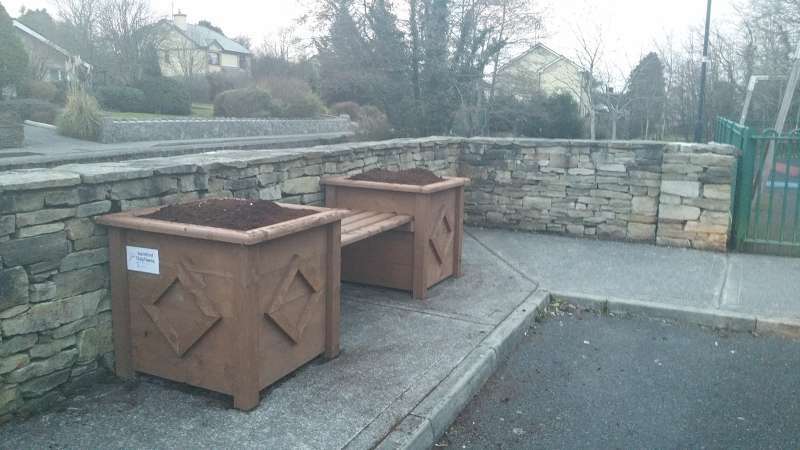 In the spring of 2016, Swinford Tidy Towns began constructing the Swinford playground planters. 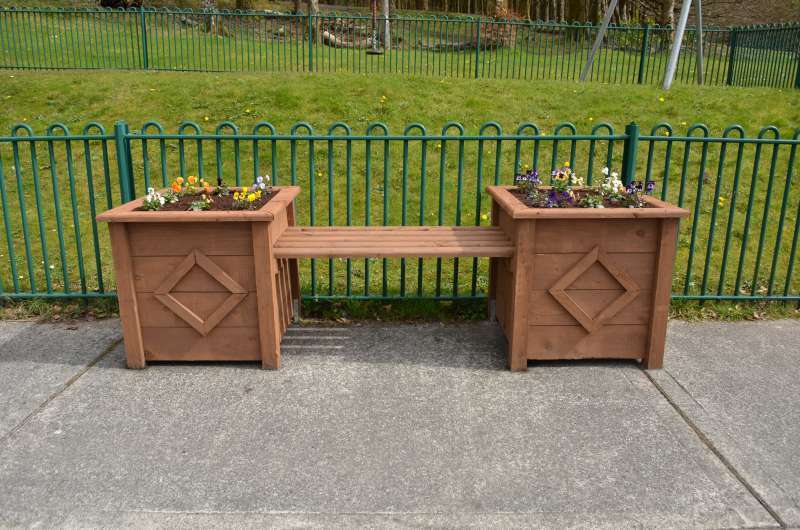 We constructed the bench planters from standard 7″ x 1″ pressure treated timber, similar to our Kiltimagh Rd planters. We used 3″ x 3″ fence posts, again pressure treated for the four corners of each planter. For the base’s of each of the planters we used recycled plywood (treated) and also recycled timber floorboards. For extra protection for the timber we reused compost bags to use to line the inside of the planters. For the seats we just used standard “D” rail garden fencing rails which is also pressure treated to withstand the elements. Compost used to fill them was from our own composting from previous years hanging baskets. We also re-use the compost from our hanging basket displays in Swinford for using to fill the planters we make. Each planter is bolted securely to the concrete. The slats for the seats was then fixed to each planter. We designed the bench planters in a way that we can easily dismantle them if need be. We planted the bench planters with some summer bedding. We had the whole project completed in time for the annual Good Friday vigil which is held in the woods every year. 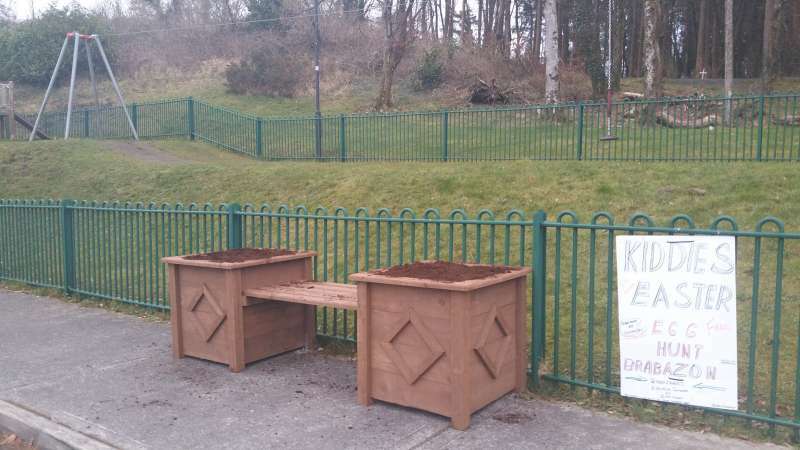 Later in the Autumn we had the local Swinford Foroigra club out planting daffodil bulbs in all our planters around town. We planted approximately 200 dwarf daffodil bulbs (Tete é Tete) between the four planters. Hopefully we will see a good display in the spring of 2017! P.R.O. 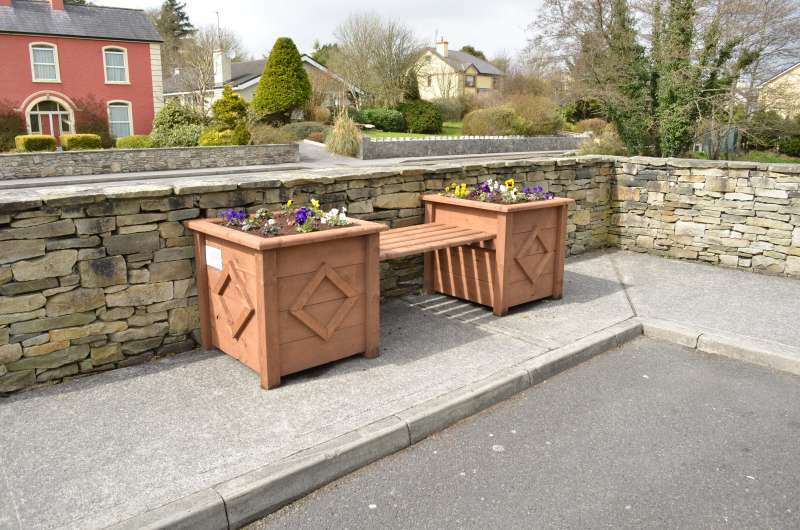 Swinford Tidy Towns. Committee meetings every Tuesday night at 8 in Gateway Hotel. Volunteers meet every Wednesday eve at 7pm (summertime) & every Saturday at 11am (all year) at No Name Club on Chapel St.